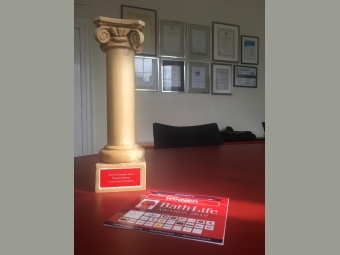 Hot on the heels of winning the Bath Property Awards for best 'Architect' we are delighted to have been selected winners of the 2019 Bath Life Award for Property! Aaron Evans Architects were delighted to collect the B&NES Council LABC Design Quality Award for the redevelopment of Bathampton Timberyard last Friday 15 February on behalf of Charlcombe Homes. We are delighted to announce we have been voted 'Winners' of the 'Architect' category of the inaugural Bath Property Awards!